Mix juices, sherry, thyme, cayenne and salt in a shallow baking dish. Add fish and allow to marinate for 3 to 4 hours in the refrigerator. Light your Black Knight barbecue and oil grill. 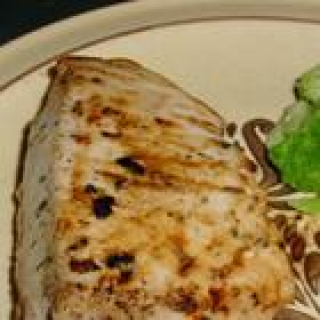 Remove fish from the marinade, place onto the grill and sprinkle with paprika. Turn after about 5 to 7 minutes and continue cooking for another 5 to 7 minutes.